ADD REMINDER, 29 November 2017: TOMORROW, THURSDAY 30 NOVEMBER, ADD will be holding another UPDATE MEETING ON EASTLEIGH’S LOCAL PLAN – this time at ST PETER’S CHURCH, BOYATT WOOD, starting at 7pm. This meeting follows recent successful events in Colden Common, Bishopstoke and Fair Oak and is part of a series of meetings across the large area that Eastleigh Borough Council is likely to choose as its preferred development site at ITS NEXT KEY MEETING ON 11 DECEMBER (please, please attend this meeting: We need EVERYONE against the plan to be there). 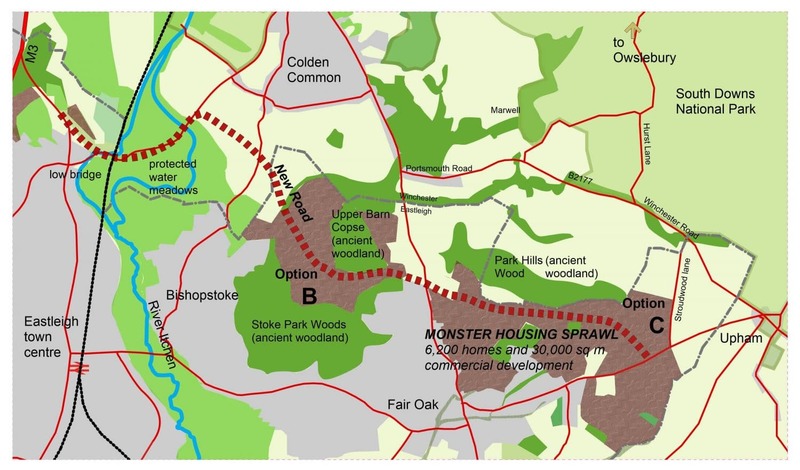 As many of you know, this plan involves a monster housing sprawl (5,200 new homes) and a major new road north of Bishopstoke and Fair Oak and south of Colden Common, Owslebury and Upham, significantly affecting Allbrook, Boyatt Wood, Chandler’s Ford, Otterbourne, Brambridge, Highbridge, Twyford, Chandler’s Ford and Bishop’s Waltham too (the council’s options B and C). Click here for a map. If you live in Allbrook, Boyatt Wood, Chandler’s Ford, Otterbourne, or have been unable to attend any of the other meetings, THIS MEETING IS FOR YOU! At our update meetings, we aim to share our research on Eastleigh’s emerging Local Plan, update you on the campaign’s progress and hear your views and questions. Please join us if you can: simply come to the meeting most convenient for you. Click here to see a flyer on the meetings: please distribute as many as you can, either via email or hard copy. WHY IS BUILDING OVER 5,000 HOUSES NORTH OF FAIR OAK AND BISHOPSTOKE THE COUNCIL’S MOST DESTRUCTIVE OPTION? The development will only be accessible by road, far from infrastructure. The Campaign for Better Transport agrees that local traffic will get will get worse without a public transport solution. The new road will use the current Allbrook railway bridge, frequently flooded, too low for large lorries: it cannot ease Eastleigh’s truck congestion. The council expects the 26,000 extra daily traffic movements to be channelled via the M3 at junction 12. We assess congestion will increase on all local roads, through our communities, villages and the South Downs National Park. The Campaign to Protect Rural England supports our campaign, concerned that quality of life will be damaged in our area. Fair Oak will double in size, with fewer accessible green spaces. The new road will divide Allbrook, splitting the village in two. The Woodland Trust say that building the road in the 120 metre gap between Crowdhill Copse and Upper Barn Copse will damage their Sites of Ancient Natural Woodland. The Test and Itchen Association are concerned that the road will damage the Itchen which has European conservation status. Acres of countryside and miles of footpath will become housing estates. Naturalist Chris Packham describes this as “eco vandalism”. 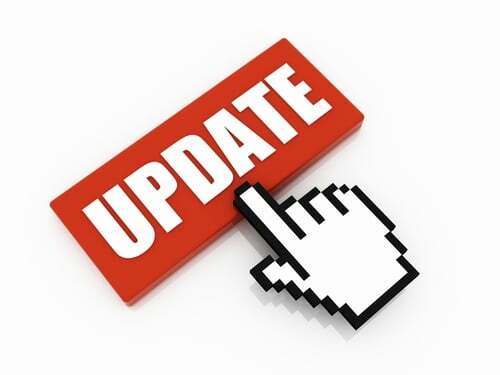 PLEASE COME TO ONE OF OUR UPDATE MEETINGS AND – IN PARTICULAR – MAKE SURE YOU ATTEND THE KEY COUNCIL MEETING ON MONDAY 11 DECEMBER: 7PM AT THE HILTON AT THE AGEAS BOWL, SO30 3XH.